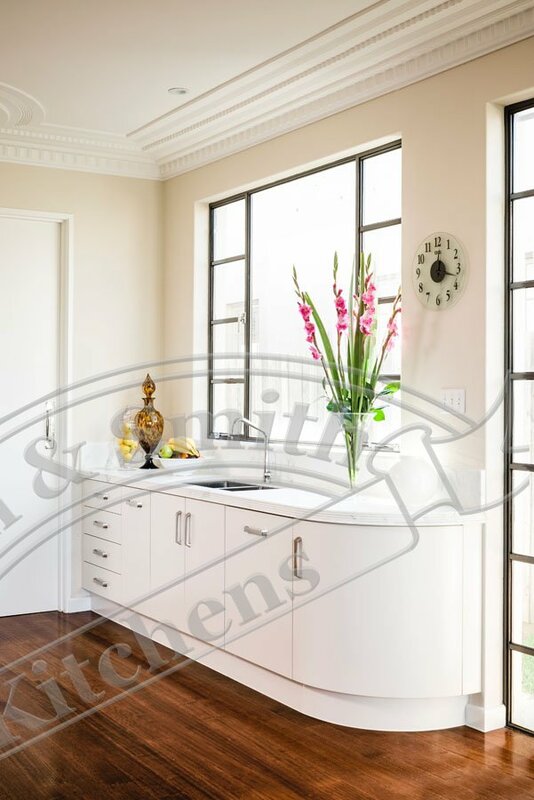 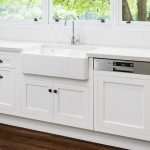 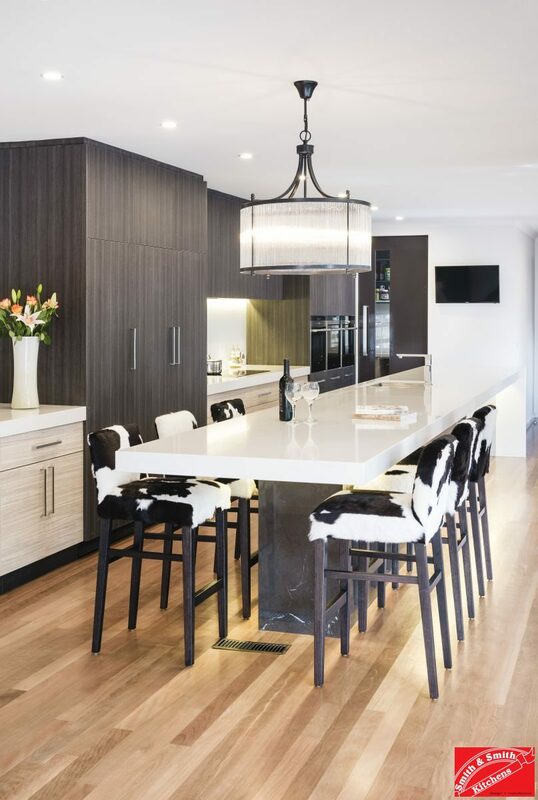 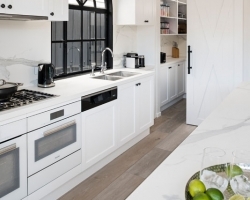 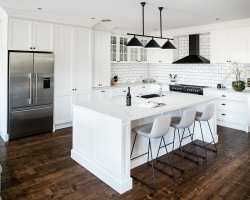 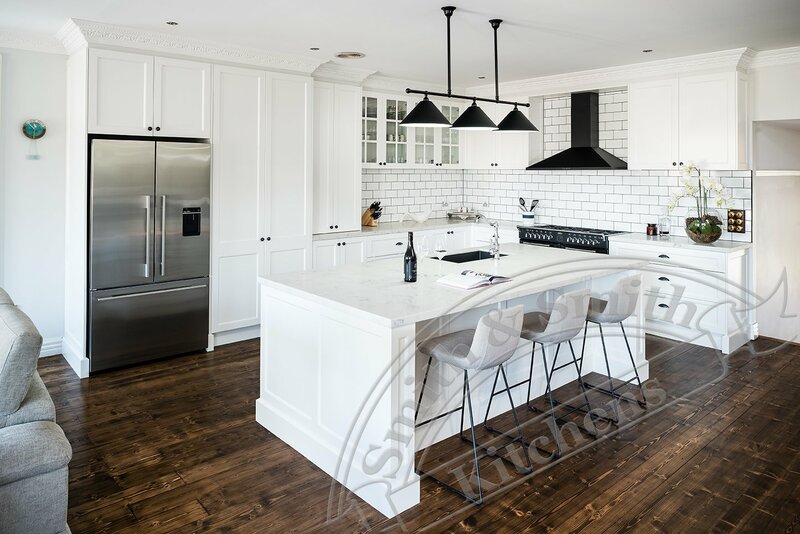 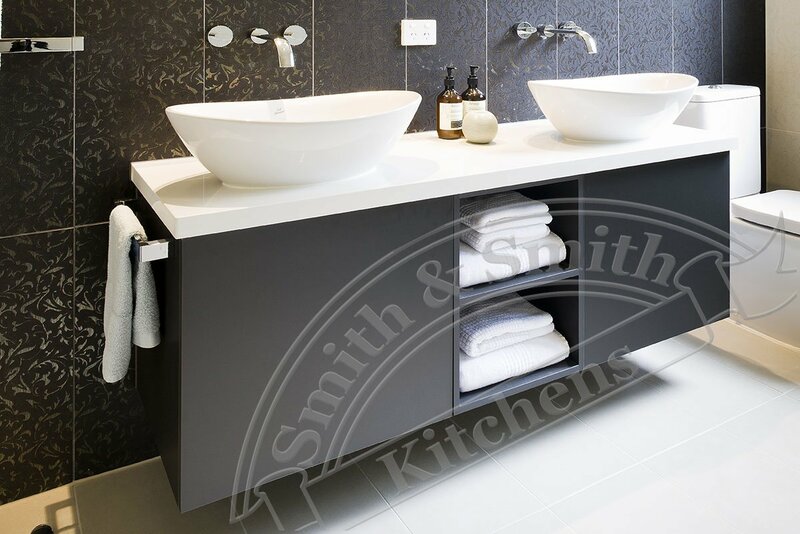 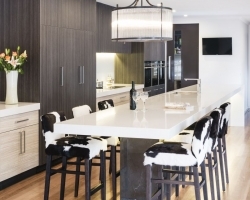 A classic combination of timber, black and white give this Moonee Ponds kitchen a fresh clean look with a modern, high contrast pop. 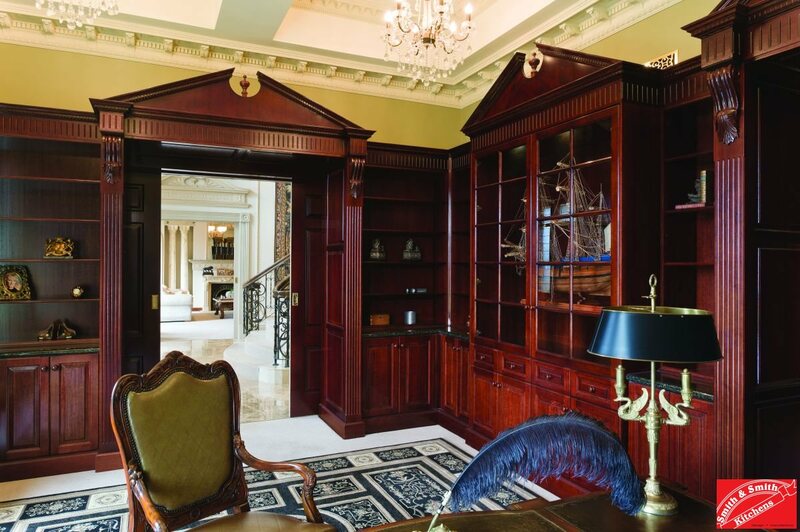 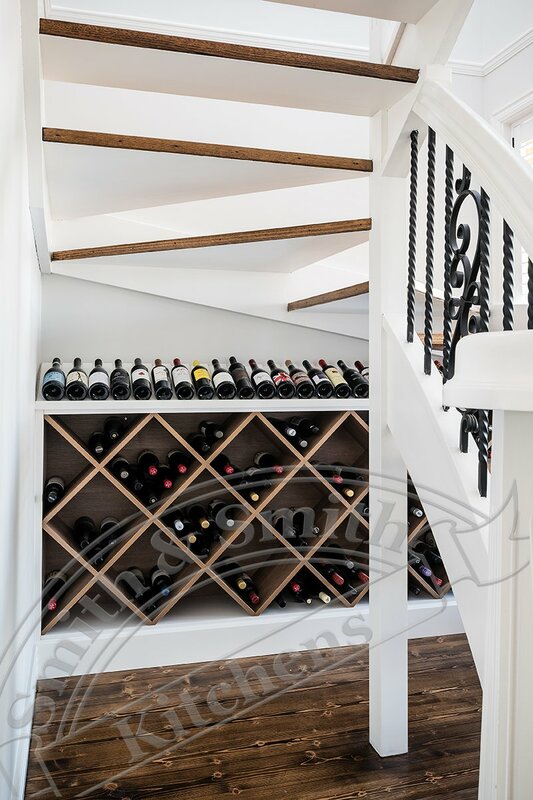 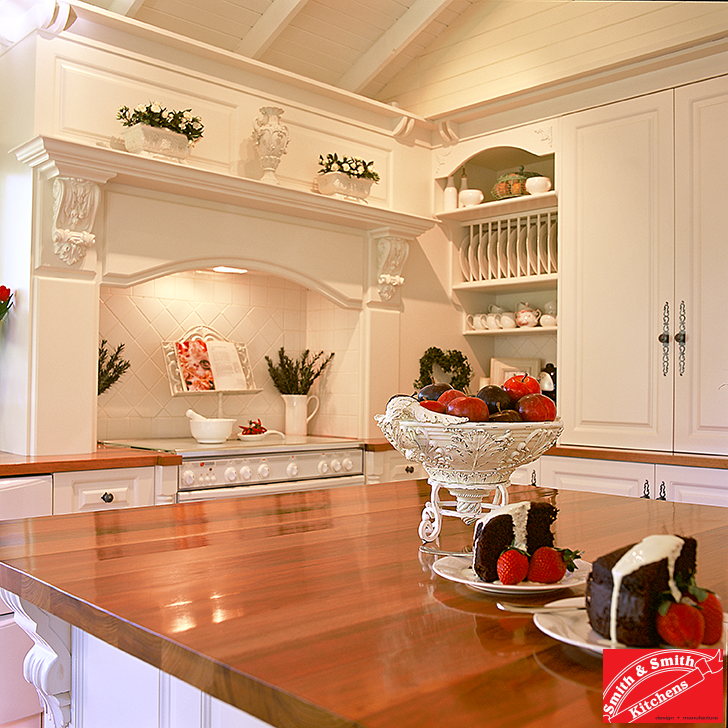 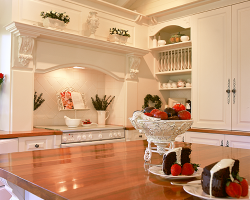 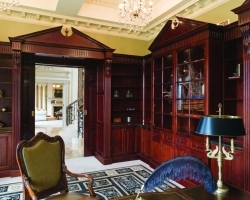 For a truly built-in effect, the bulkhead above the kitchen cabinets continues the ornate cornice around the area. 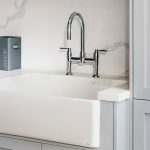 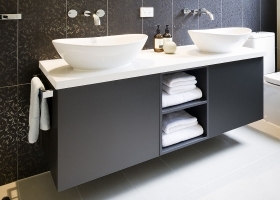 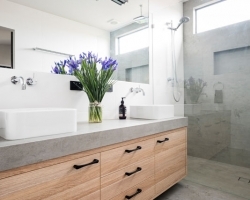 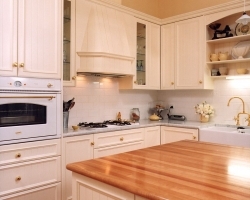 White two pack polyurethane panels feature a beaded insert for a classic profile that is not too fussy. 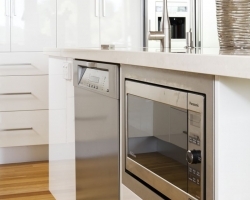 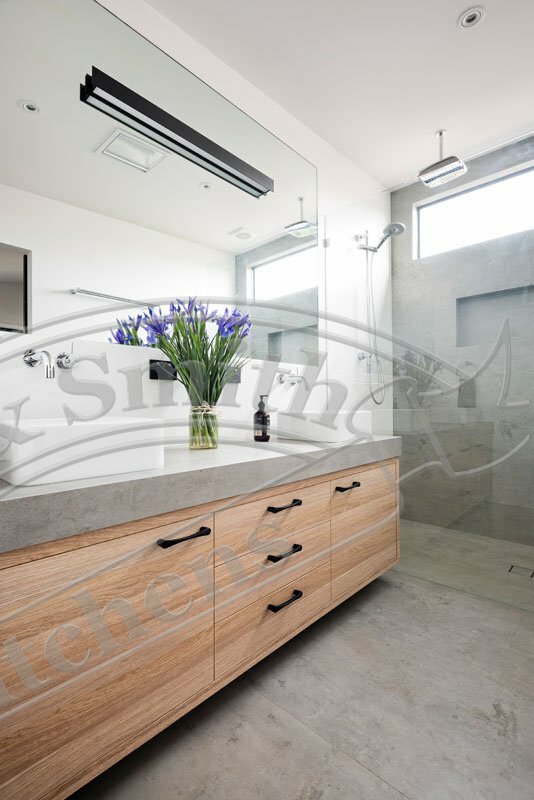 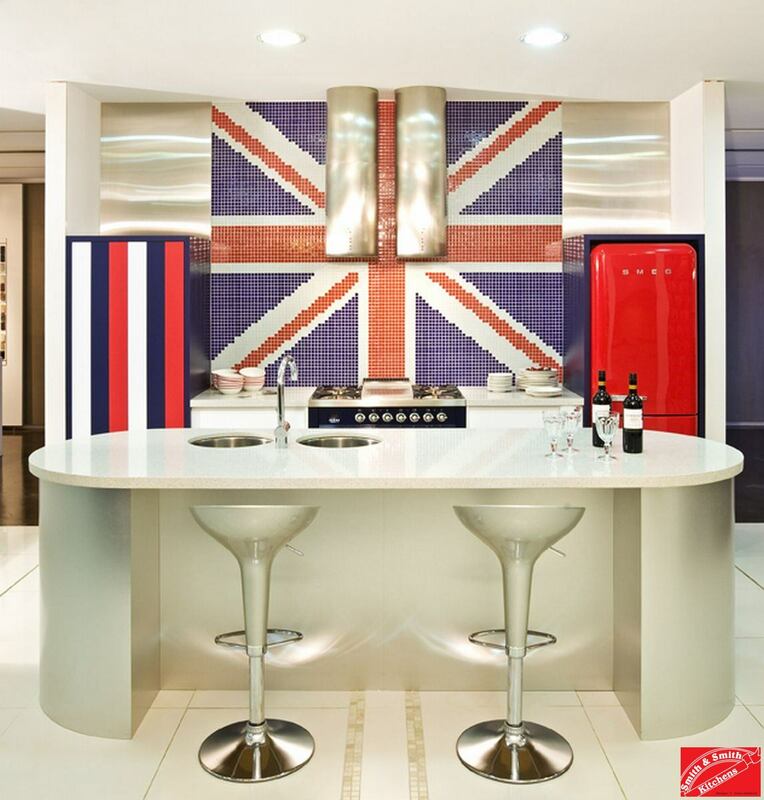 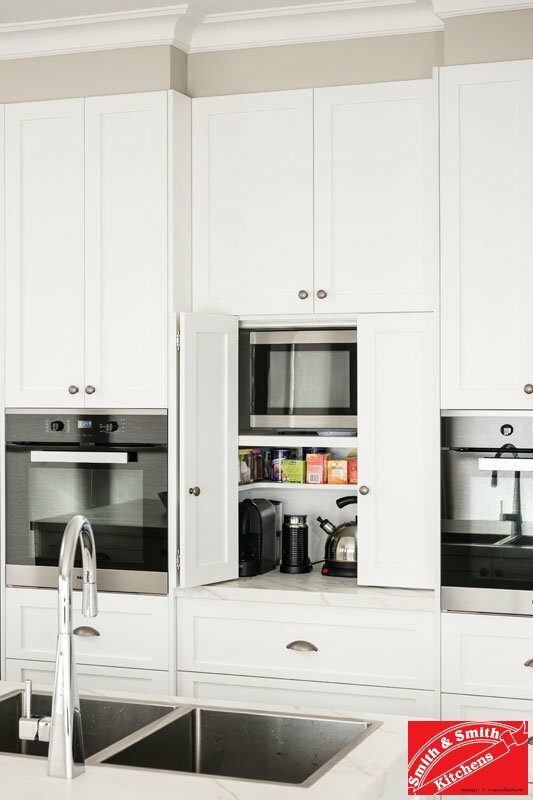 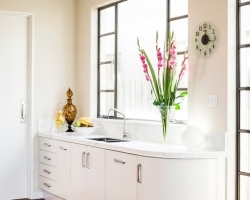 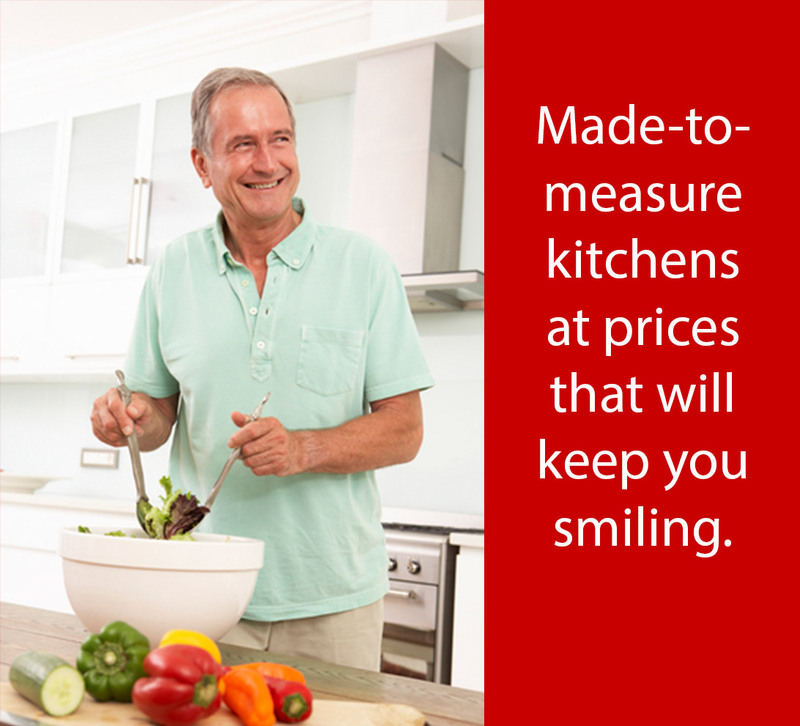 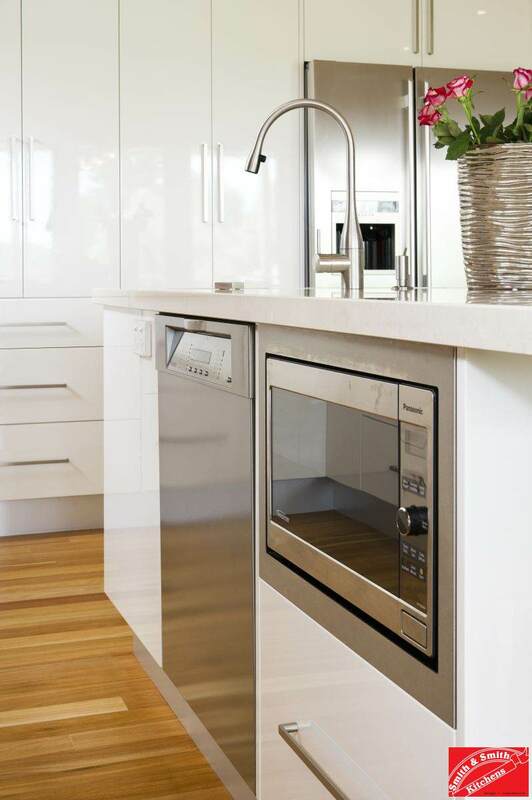 While the kitchen is a classic style it handles a modern stainless steel fridge perfectly. 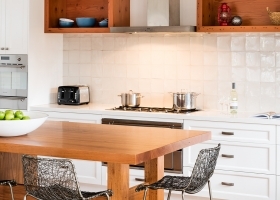 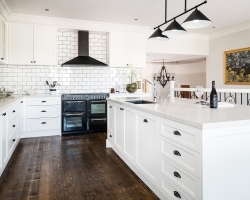 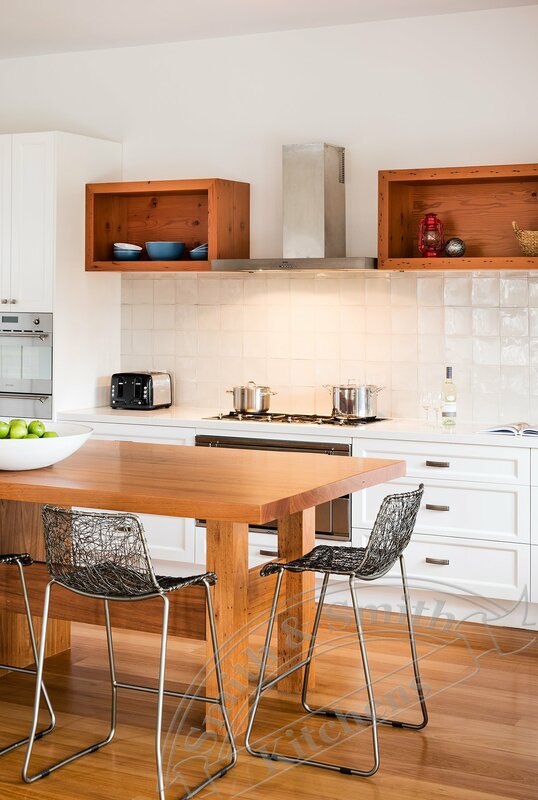 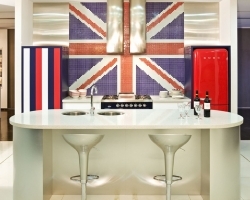 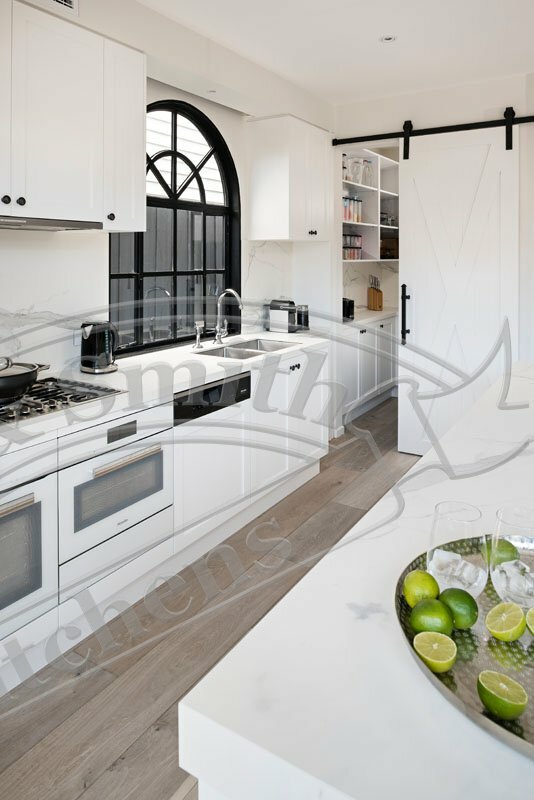 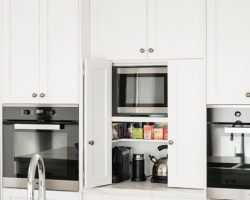 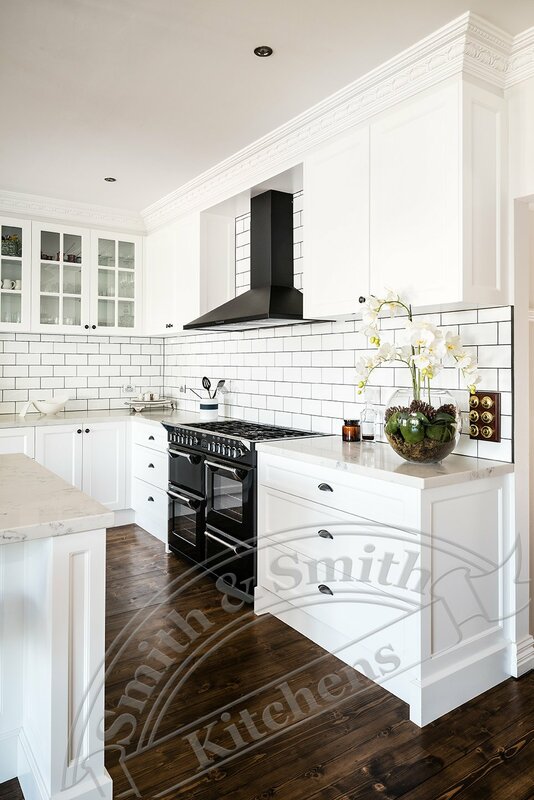 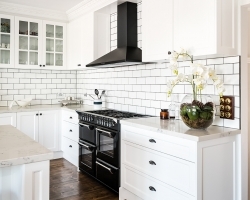 A black range hood and stove set an exciting contrast among the white panels. 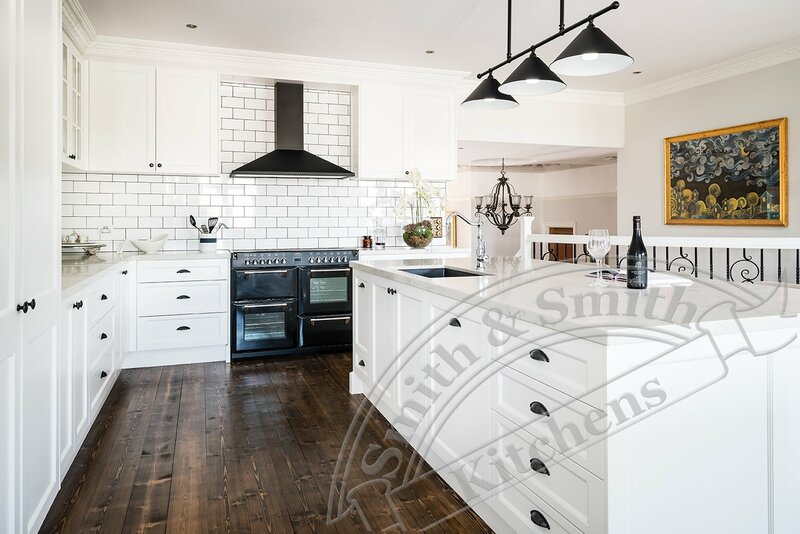 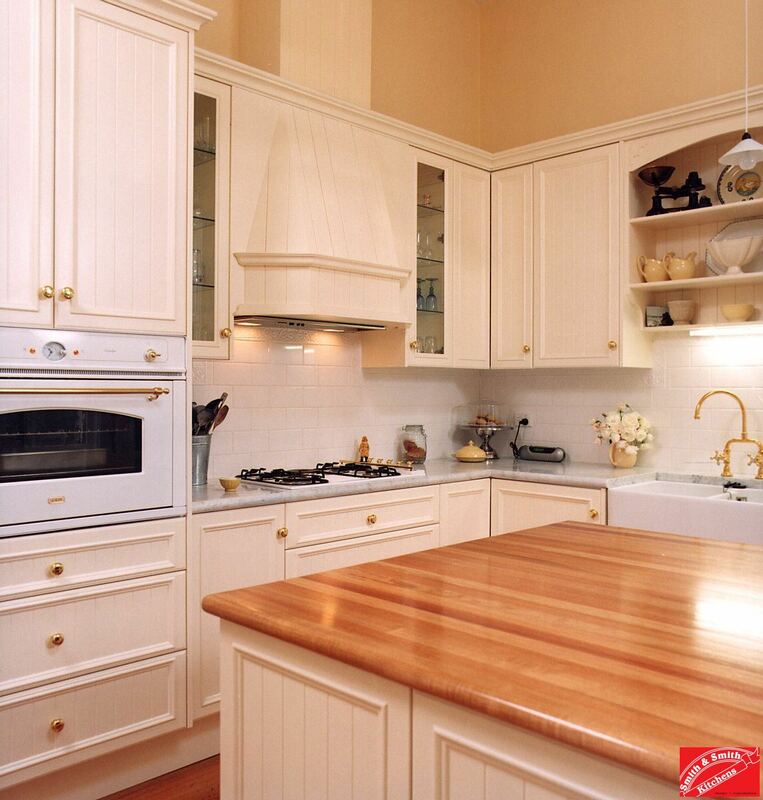 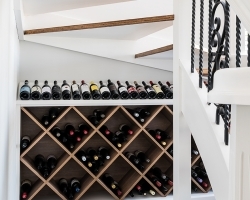 Feature grade timber flooring provides the ultimate backdrop for this enticing kitchen.